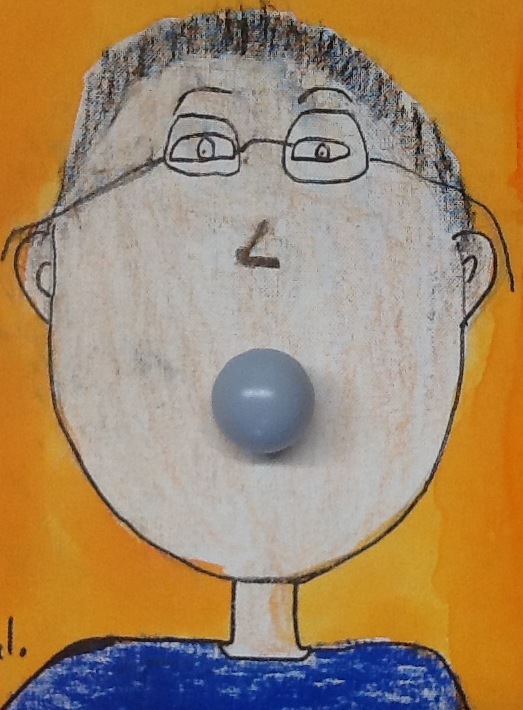 Hot glue gun to place ping-pong ball on portrait. Sketching and drawing a portrait. 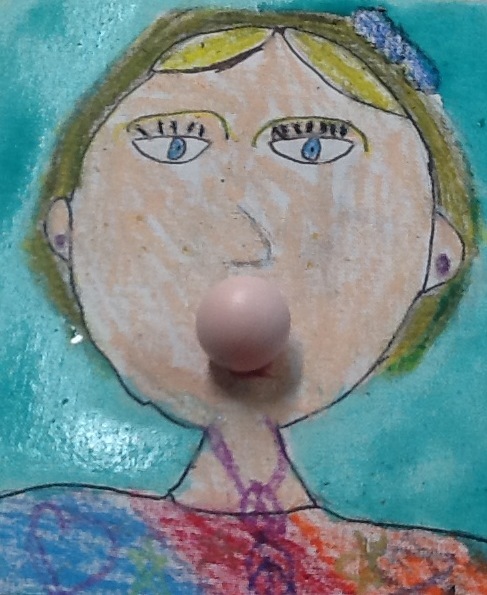 Start students by showing them samples of bubble gum portraits. Then go step by step through how to draw a self portrait starting with the head and neck template. Then after they have finished with drawing with the pencil have them cover all the pencil with oil pastel. I usually have them use black to outline and then skin color for face and then do rest in the colors of themselves. Last have them paint the background with an opposite or opposing color to their shirt color so it does not disappear. Then let them choose their color ping-pong ball and glue onto canvas panel. Have them sign and you are done!